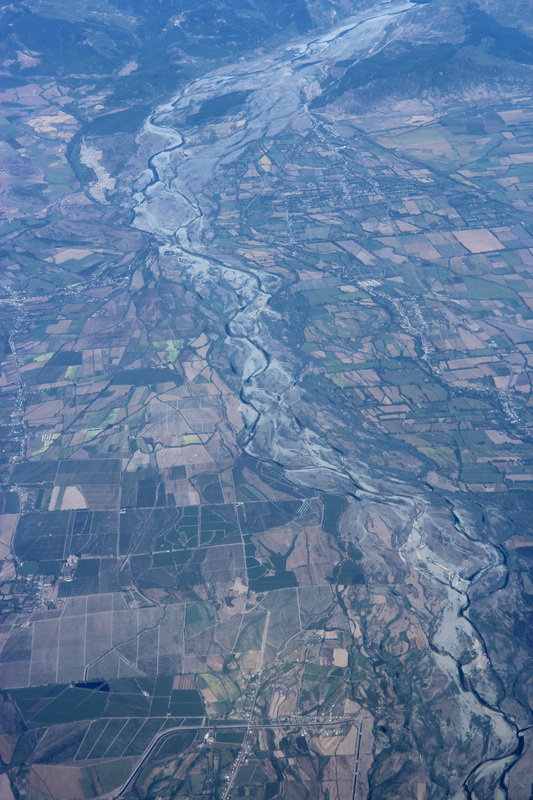 Callan Bentley’s post earlier today of some photos he took from the window seat on a flight from California to D.C. motivated me to take a few minutes to post some of my own window-seat photos. 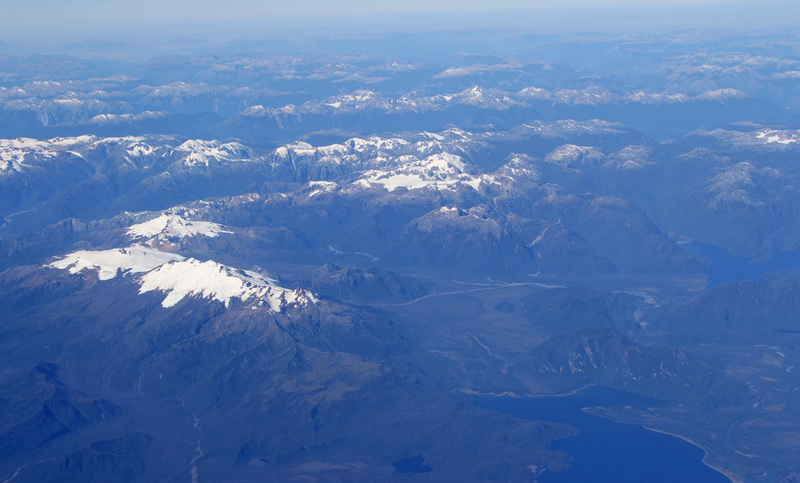 These are from a flight from Punta Arenas, Chile (southernmost city in Chile) to Santiago. I don’t have the time to try and figure out exactly where all these places are, but they are roughly in order from south to north. Brief captions are above each photo. 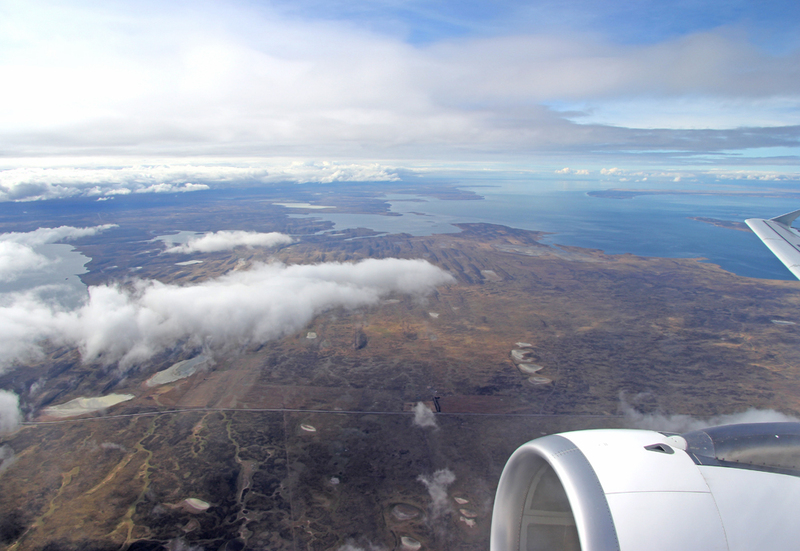 This is a few minutes after departing Punta Arenas; that body of water is Estrecho de Magallanes (Straight of Magellan). I was really hoping to get lucky and have a clear view of the Patagonian Ice Sheet but, alas, it was shrouded in clouds, which is typical. 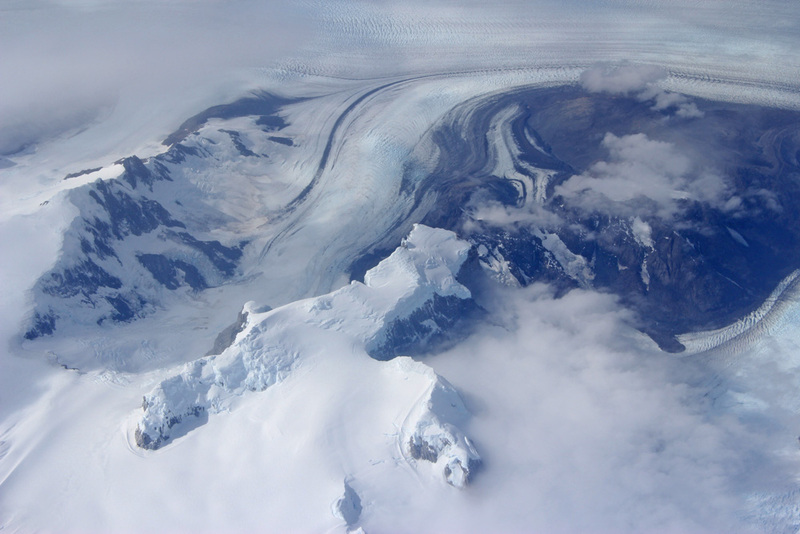 But … there was one small clearing in the clouds that provided a spectacular, if fleeting, glimpse of the ice cap and its glaciers. 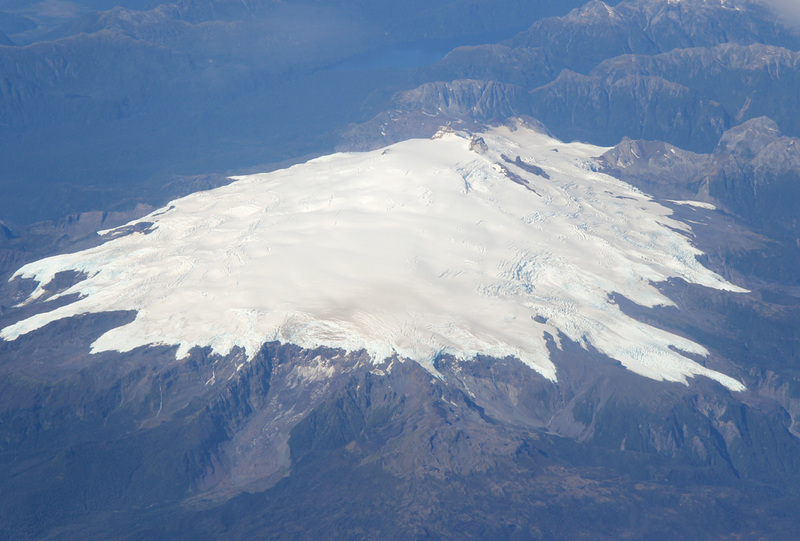 Further north (somewhere a bit north of Puerto Montt is my guess) I spotted this nice snow field-capped mountain. 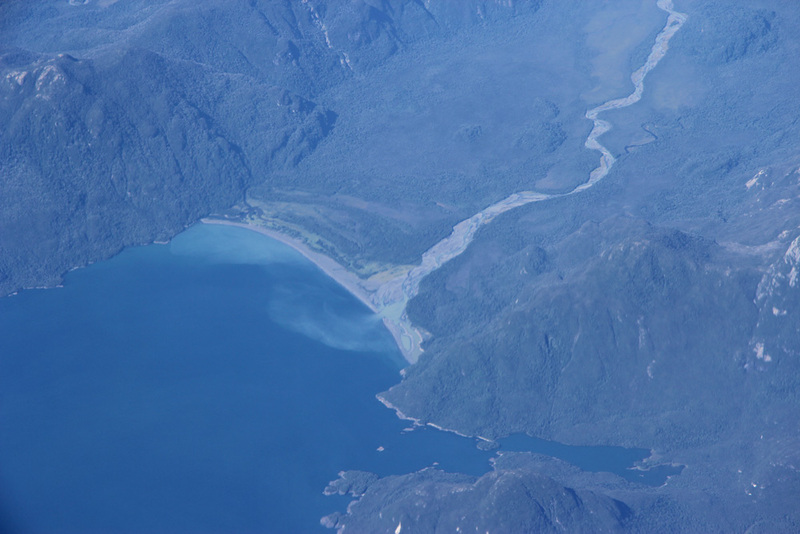 I’m a huge fan of river mouths, but then again, who isn’t? 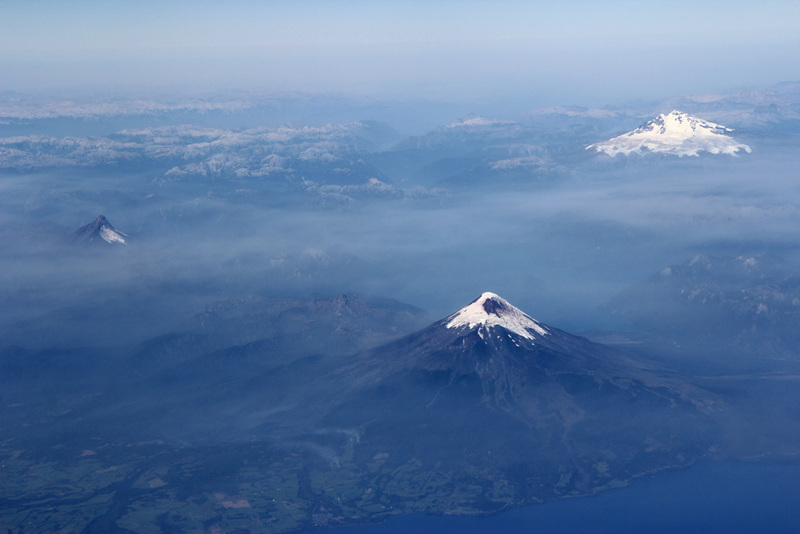 The Andes has its fair share of volcanoes too — Puntiagudo at left, Osorno in the center-foreground, and Calbuco at right in the background. Many thanks to @robbstoner on Twitter for identifying these for me. 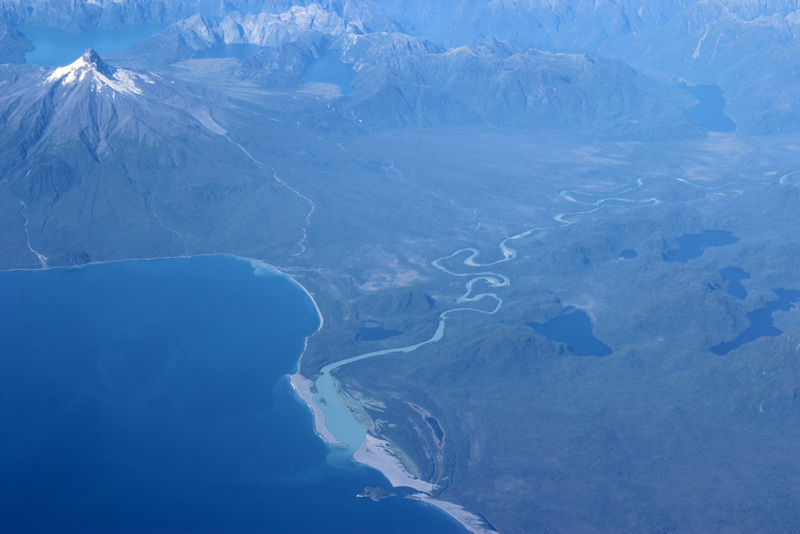 This might be my favorite of this set of photos — the sinuous river, a beautiful river mouth, and nearby mountains. Gorgeous! 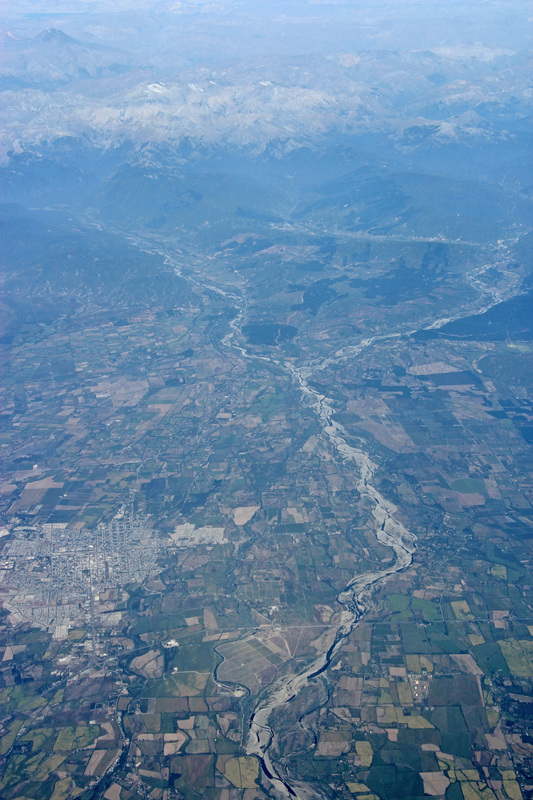 As we started the descent into Santiago we got great views of river systems draining the Andes and making their way west across the forearc basin. Here’s a view a bit more zoomed in on one of these river systems. If anyone happens to know the specific locations, names, etc. of anything shown above don’t hesitate to comment below. Brian – I’ve got 6 or the 9 photos geolocated in this KMZ file: http://ron.outcrop.org/kml/AndesFlight.kmz You should be able to view them in Google Earth. Ron … that’s a whole bunch of awesomeness right there. Thanks! Nice images. You could use a small GPS-Tracker to geocode the images later on. The only thing you need to do besides getting a seat at the window is to set the camera clock very exactly. Then you can use a program like Geosetter to match both. Modern GPS-receiver have usually no problems of getting a signal inside a plane (I use a Royaltek RGM-3800), but it might sometimes take a while to get the initial fix. Michael, thanks for the comment. I looked into some GPS tracker devices but never followed through and got one. Canon announced their own GPS thingie, but it’s only for their very high-end cameras right now (I have a 60D). I’m going to go ahead and guess that the next camera I buy will have a built-in GPS … hopefully. I chose the one I mentioned above because its independent of the camera. It takes to standard AAA-batteries (micro), and runs about 12 hours permanently with one set with 1 datapoint per second. So I have a box of eneloops which is not very big with me. If I dob’t want to track my way, I turn it of between taking photos. Since I use a Nikon DSLR I have already tested a on-camera solution (actually two). Both where sitting on the flash shoe, which cannot be used then. One was powered by an proprietary battery which needs a USB-Charger, what can pro problematic in some environments (e.g. on longer trecking tours). The other one had no own battery but was powered from the camera battery. Which is not good either, because these GPS-thingies consume quite a lot of energy which reduces the number of images per battery dramatically. I am also not sure, of build-in GPS receivers are better. To have a position when you take a photo, the need to have a fix for the satellites or at least need one not long ago. This will again take a lot of battery power. Michael … thanks much for the detailed info. You’ve done much more research on this than me. I did some research on it because I hate buying twice. These are my thoughts and experiences, your mileage may vary.